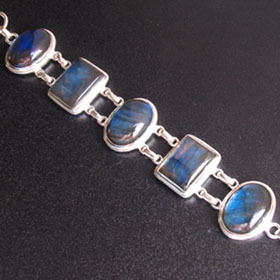 A labradorite bracelet will excite any wrist! 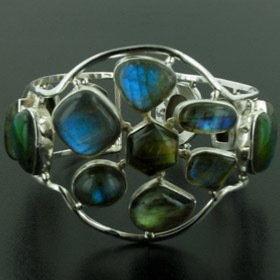 Labradorite is an iridescent gemstone firing with blues, greens, turquoise, gold, amber and occasionally mauve. Once worn it's a lifetime favourite. 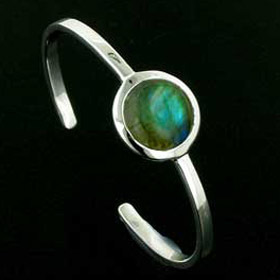 For information about labradorite, see About Gemstones. 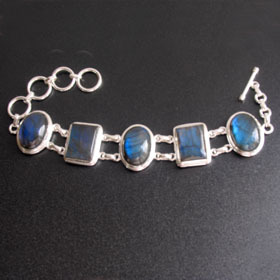 From chunky multi-stone labradorite bracelets to a sleek labradorite bangle, we have it. Check out our labradorite earrings and labradorite pendants to wear with your bracelet.